Warm, clear blue-green sea lapping long, sandy beaches… Families eating and laughing together over slow, relaxed dinners with lashings of good food and even better wine… Markets packed full of fresh-caught fish, locally made cheeses, and a rainbow of delicious produce… When you live by the beach in Europe, life is simpler, happier, and healthier. With a low cost of living, picture-perfect white-sand beaches, friendly locals and fascinating culture, Southeast Asia are so much more than exotic vacation spots. 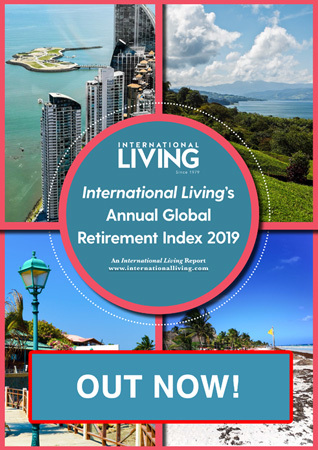 Enticing expats and retirees from around the globe, they still beckon with the promise and rewards of an exciting life overseas. Imagine never having to buy a new coat or pay for home heating ever again. Untouched by our idea of “winter”, each of the countries in Southeast Asia delivers warm, tropical weather and the chance for beach-side relaxation all year round. For many expats, it’s paradise found. It's easy to see why, in Panama, the Pacific coast is generally more desirable. The region is accessible and it gets half the rainfall of the Caribbean coast. That's why the Pan-American Highway is where it is.